Leonard Outerbridge was born in Asheville, North Carolina, on May 6, 1888. He was educated at Bishop Feild College in St. John's, Marlborough College in England, and finished a law degree at the University of Toronto. Outerbridge served in the Canadian forces, during the Great War, reaching the rank of major. After the war he worked as a lawyer in Toronto for a year before returning to St. John's to help his brother, Herbert, manage Harvey and Company Ltd.
From 1923-24, Outerbridge was president of the Newfoundland Board of Trade, and in 1925 headed the Charity Organization Bureau. From 1930-1944, he was honorary private secretary to successive governors. 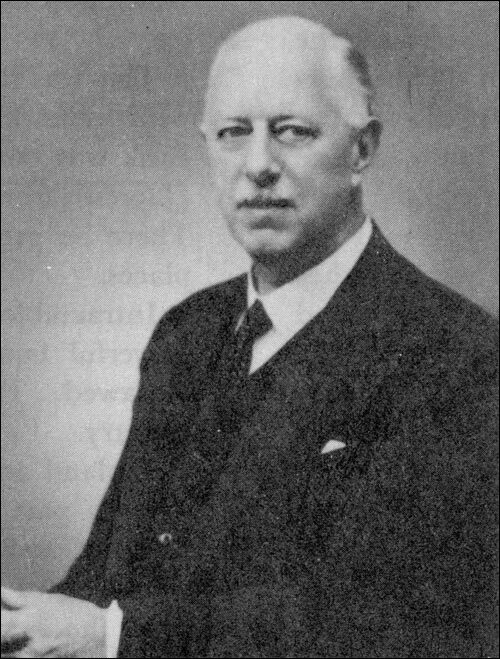 For the last three years of the Second World War, Outerbridge volunteered full-time as director of Civil Defence, supervising the Air Raids Precaution Team. During the second referendum in 1948, Outerbridge was one of a group of Water Street merchants who supported confederation. In 1949, he succeeded Sir Albert Walsh, who was installed on a temporary basis, as the second lieutenant governor of Newfoundland. Outerbridge, not Walsh, was Smallwood's initial choice for Newfoundland's first lieutenant governor. As a confederation supporter, he was instrumental in gaining support from Newfoundland merchants. Upon the signing of the Terms of Union, Smallwood actually announced Outerbridge's appointment to the position but Canadian Prime Minister Louis St. Laurent and Outerbridge felt the declaration too hasty. Fearing the public would suspect patronage, Outerbridge was reluctant to take the position. It was decided Albert Walsh would become the first lieutenant governor of the Newfoundland province, and Outerbridge succeeded him less than a year later. His term as lieutenant governor lasted for eight years. He was made Knight of Grace of St. John of Jerusalem in 1951. After his term, Outerbridge became president of Harvey and Company Limited. In the 1970's he became chair of the company and still held the position at 90. Outerbridge was appointed a Companion of the Order of Canada in 1967. He received a special service award for his work as director of the Canadian National Institute for the Blind in 1983, and, in 1985, he was made a Companion of the Order of the Red Cross. He died in St. John's on September 6, 1986.